The F Building Addition and Plaza is one of many projects undertaken by Humber College to improve the quality of its learning environment and create a more cohesive and engaging campus fabric. 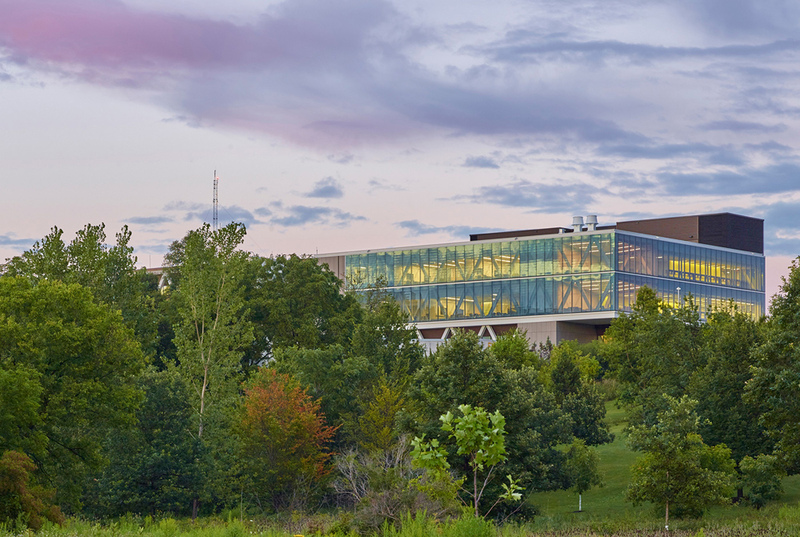 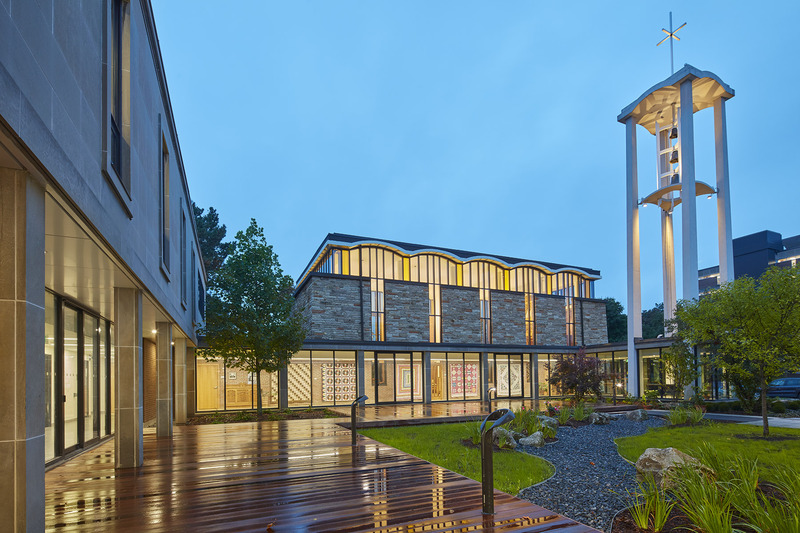 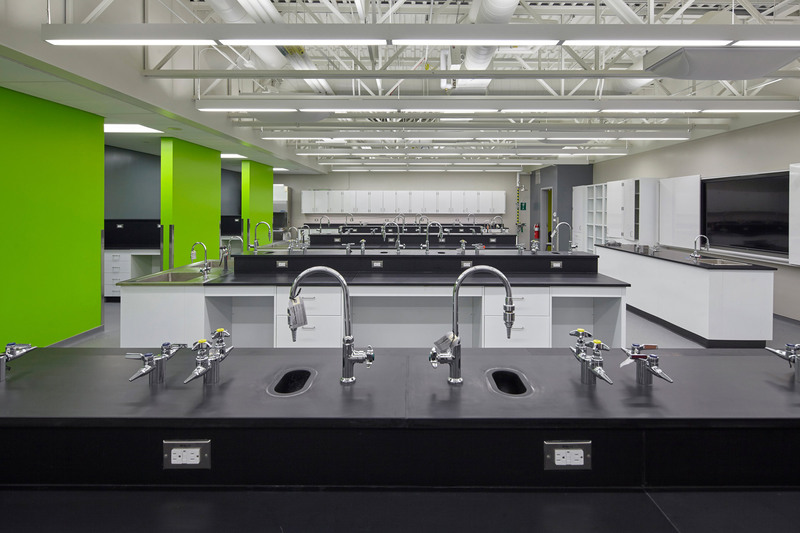 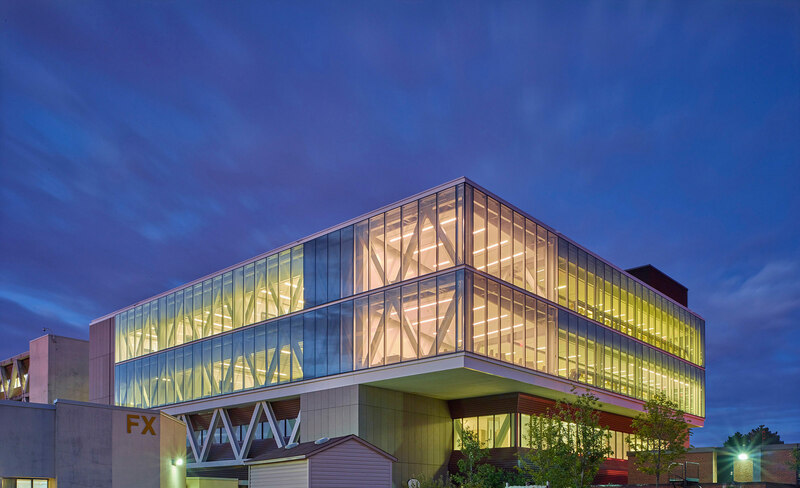 The two-storey vertical addition responds to the College’s need for expanded Health Sciences facilities with supplementary classrooms and new laboratory space while exercising its capacity to enhance the quality of the built environment and the campus experience. 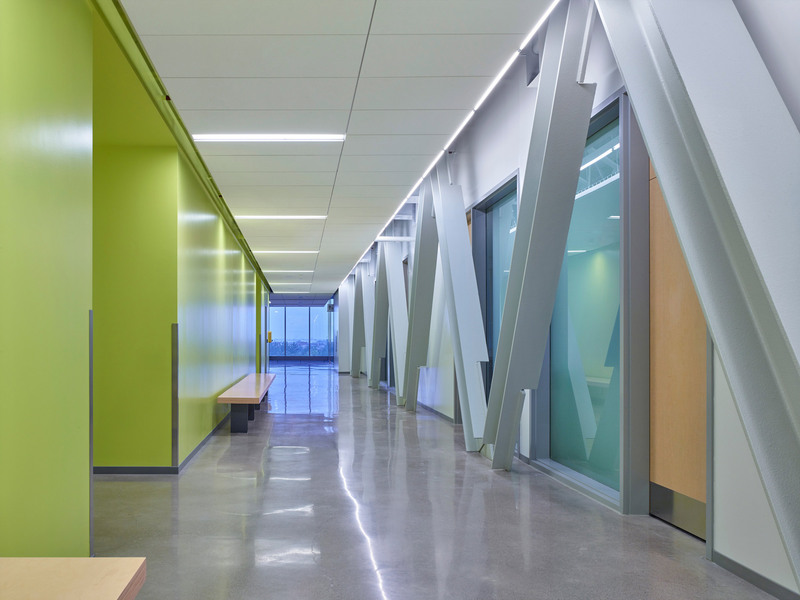 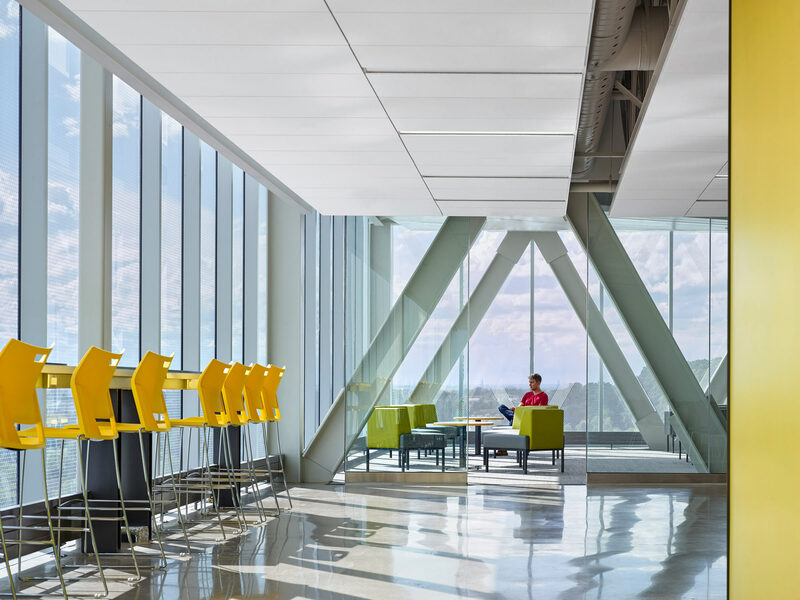 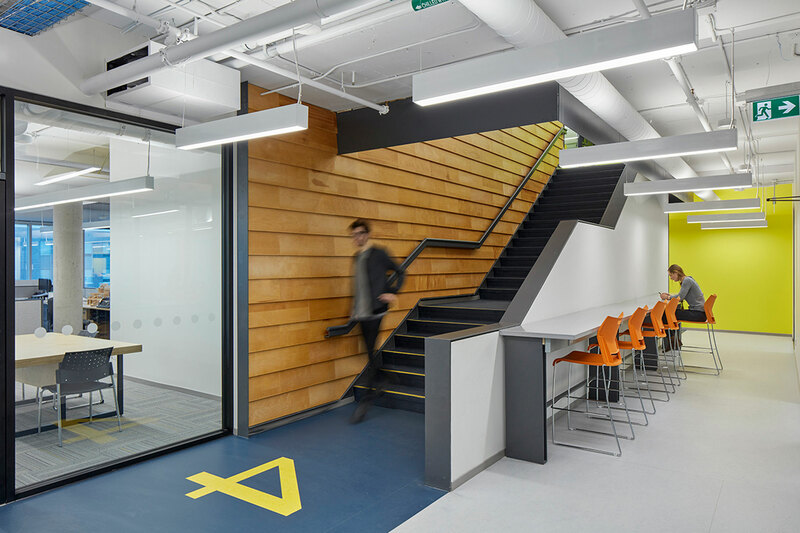 Typical residual space, corridors and building gross-up, have been transformed into flexible social and / or collaborative spaces, creating new opportunities for student amenities while optimizing the use of available square footage. 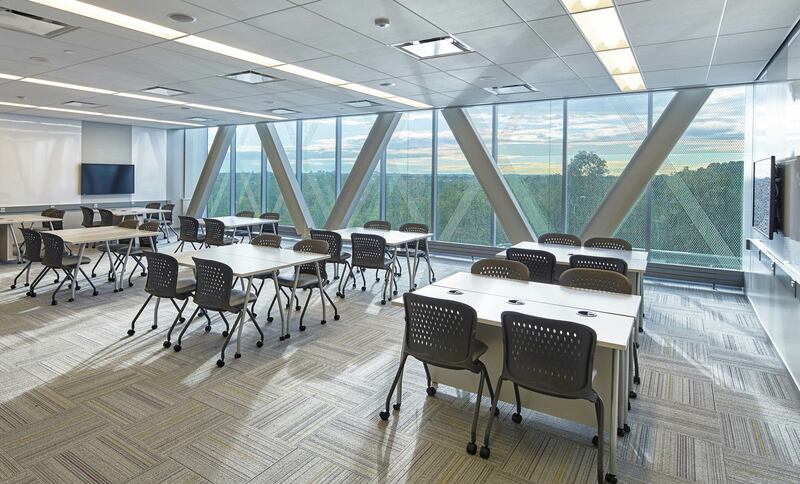 Floor to ceiling fritted glazing wraps each floor, reorienting the building away from the extensive surface parking of the inner campus out towards the ravine and offering students at the Study Bar and in the Lounge stunning panoramic views of the Campus’ natural setting. 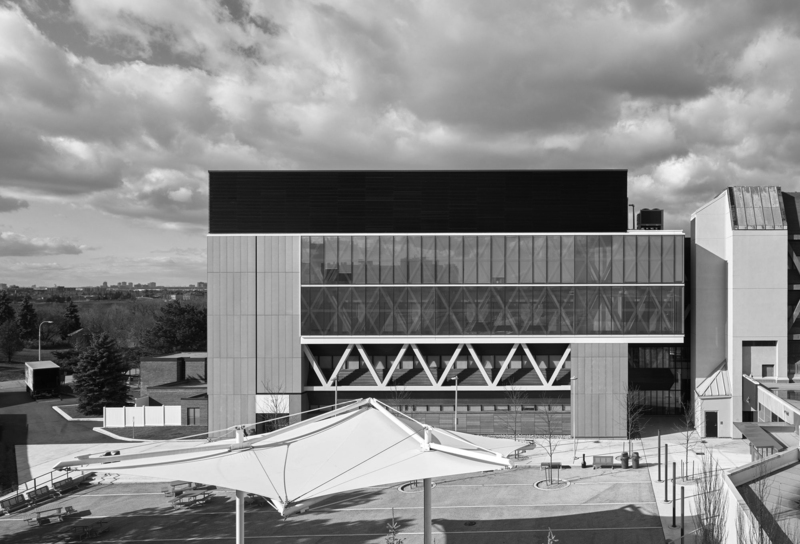 The new Student Federation Plaza develops previously unexploited pedestrian and program linkages between F Building, the student centre and cafeteria to encourage animation of once underutilized outdoor space. 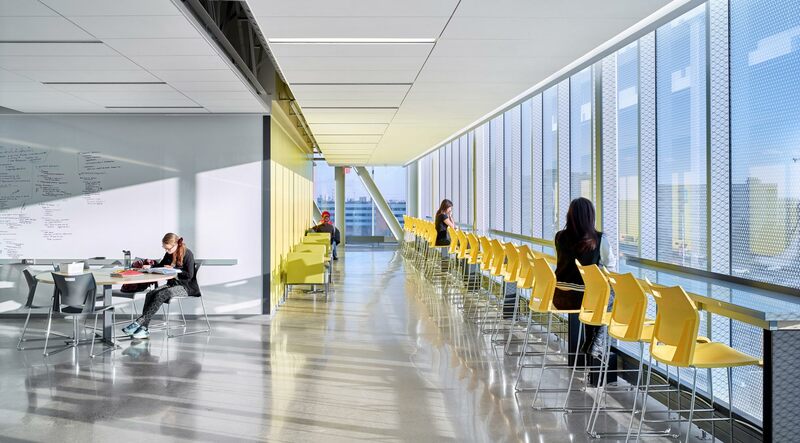 Improved circulation, together with new entranceways, covered patios, picnic areas, and transparency at grade, provide for unprecedented special definition and diversity of use. 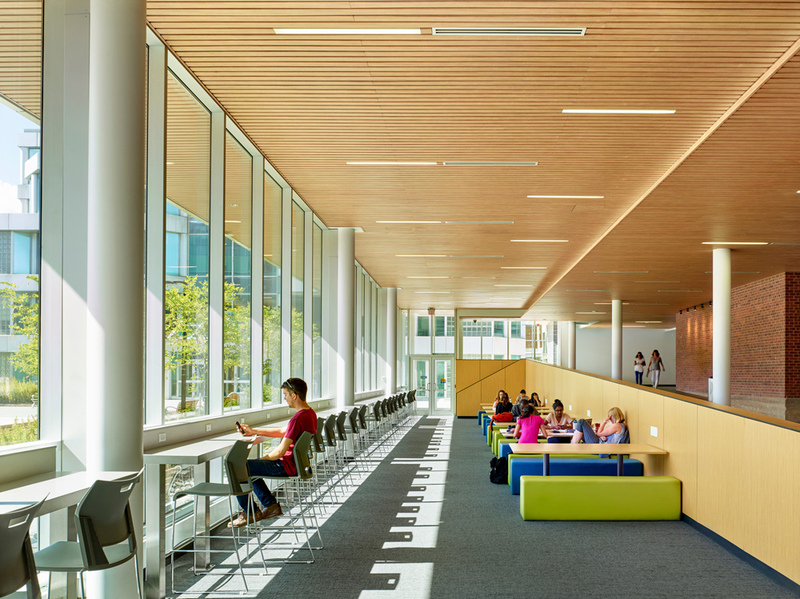 Together, the F Building Addition and Plaza begin to build a porous, accessible campus that strikes a meaningful balance between urban qualities of place and the sublime qualities of nature. 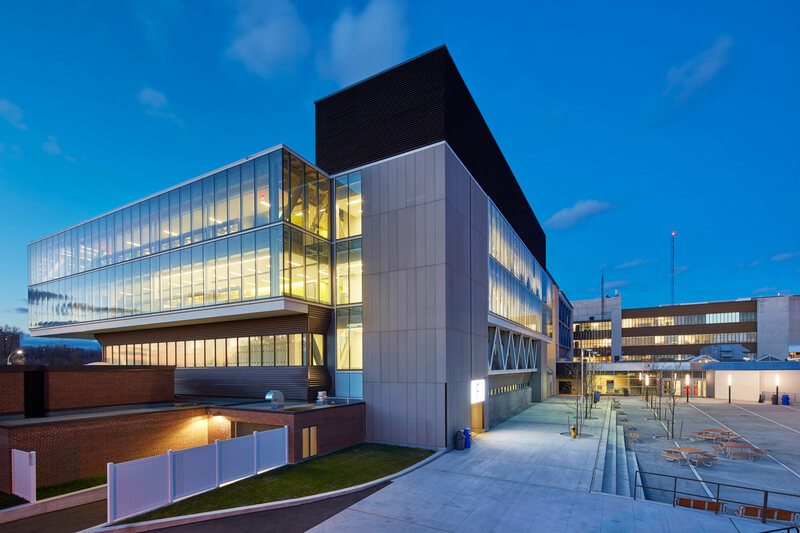 They have become catalysts for change across North Campus and have begun to craft an image of Humber College as a destination and place of civic pride.